The U.S. Supreme Court has denied a request from Texas and 19 other states to block a landmark federal rule requiring power plants to slash emissions of mercury, acid gases and other toxic metals — a setback for Texas Attorney General Ken Paxton in a case where he saw earlier success. Without offering an explanation, Chief Justice John Roberts on Thursday denied the states’ request for a stay on the rules, according to media reports. 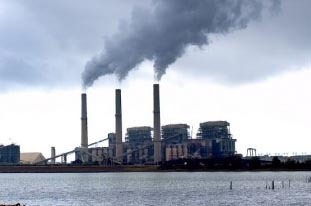 That decision followed a Supreme Court ruling last June — hailed by Texas Republicans — that the U.S. Environmental Protection Agency did not properly weigh the cost of compliance for coal-fired power plants against the benefits to public health while setting the new standards. The June ruling sent the Obama Administration back to the drawing board on the regulations, which had already gone into effect. But it did not halt them. The states, led by Michigan, had asked the justices to block the rules during the revision process. Roberts said no. See here, here, and here for the background. Any day where Ken Paxton loses a fight to enable pollution is a good day. Think Progress has more.